I love it – its so bizarre! Thanks for a great post! Oh my, the ghost of the death dealing frozen chicken! That’s one i never heard before. lol. 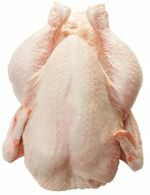 For some bizarre reason I have the image of a half-plucked dancing (Gangdam style) chicken stuck in my head. I know it does conjure up a strange impression. It brings to my mind the image of Donald duck just after he has been blown up.